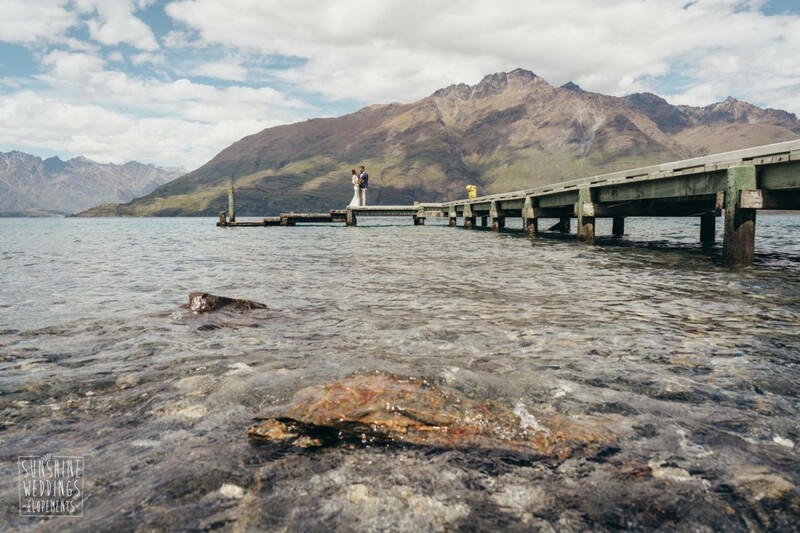 This Queenstown lakeside elopement wedding was super-fun and relaxed. 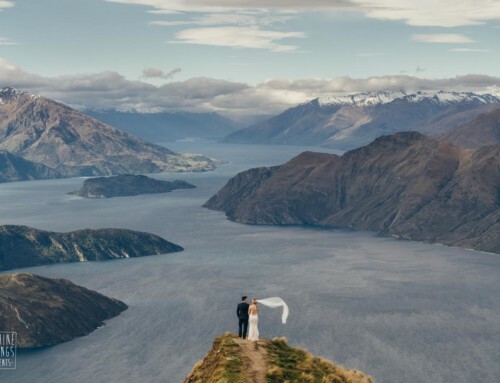 The ceremony was held on a private jetty over lake Wakatipu with a service by Philippa Thomas celebrant. It’s also a great example of why we recommend good, solid hiking boots or shoes for your mountain photo shoot. 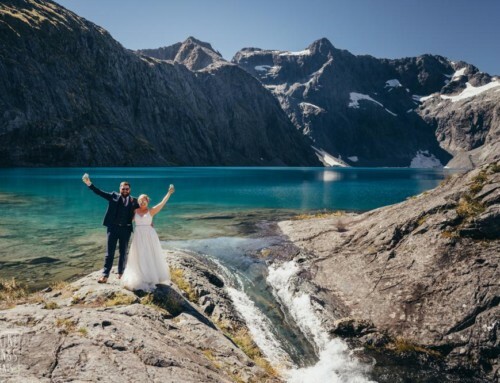 The bride and groom hiked all over rugged terrain on both The Remarkables and Cecil Peak to get a diverse range of shots from locations all over the mountains. 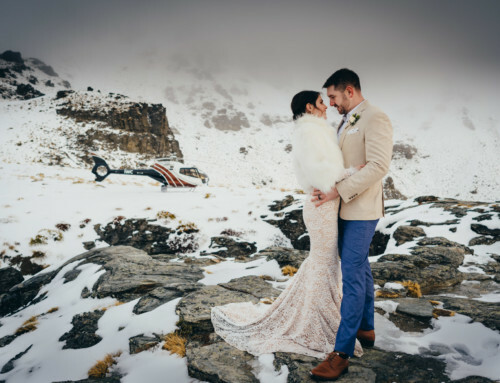 Caitlin and Peter booked our Outer Lakeside wedding package with a Dual Landing photo flight to The Remarkables and Cecil Peak. This includes planning and coordination, 4 hours photography, celebrant, bubbles, witnesses, transport and helicopter flights.